After Mao's death Deng Xiaoping took over unsuccessfully attempting to better relations with Taiwan, but did make trade possible allowing split families to be reunited. He initiated a reunification with Hong-Kong and also implemented the 1 child policy combating overpopulation. 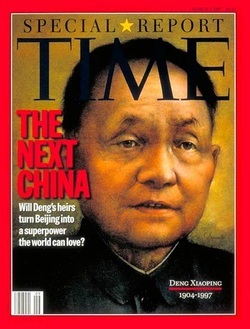 View Deng Xiaoping and over 3,000,000 other topics on Qwiki.